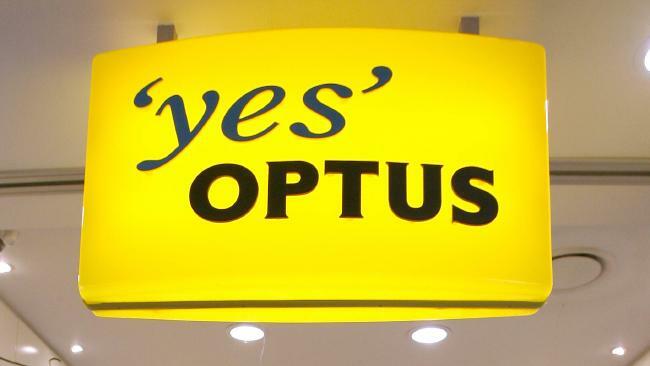 Sports fans were saying anything but ‘yes’ to Optus Sport during the second tournament of the World Cup because of a streaming fail on Friday night. WORLD Cup broadcaster Optus Sport is under fire from Australian viewers who fear not being able to watch upcoming matches after being scorned by a major streaming fail on day two of the tournament. Optus was savaged on social media during the Uruguay Vs Egypt game on Friday night when sports fans who tuned in to watch the telco's exclusive coverage were instead faced with frozen screens, service interruptions and error messages. Irate viewers took to Twitter to vent their frustrations, coining the #FloptusSport hashtag. "This coverage makes me angrier than stepping on LEGO barefoot," user Oscar Angeloni wrote. "Resolve the playback error mate … you can tweet later," Vignesh Sathyam responded to one of the company's Tweets, capturing popular sentiment to Optus' failings. "The World Cup is a special time that unites all Australians in hating @OptusSport coverage. #OptusSport #Fail," Gonzalo N Villanueva tweeted. 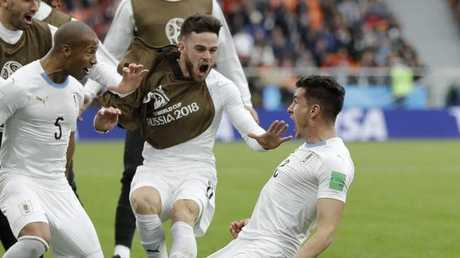 Uruguay's Jose Gimenez, right, celebrates with his teammates after scoring his side's opening goal during the group A match between Egypt and Uruguay at the 2018 soccer World Cup in Russia on June 15, 2018. Picture: AP /Natacha Pisarenko. Optus had promised to broadcast the world's biggest sporting event like it had never been seen before but it's first crack has caused uncertainty about the company's ability to improve its service for the remainder of the Cup. The next match will see Australia play against France tonight. "Hey @Optus @OptusSport you need to fix this terrible streaming service and I'd say you've got about seven hours," one Twitter user wrote. "If I can't watch the @Socceroos playing tonight, there'll be words. "Can't even play on demand content or watch the live news. This is going great." It was just one of hundreds of other messages like it to appear social media following the game. An Optus spokesman today told news.com.au that the company has "further increased capacity levels overnight to minimise the risk of this occurring again". But the company has failed to deliver on its promises before. Optus Sport executive producer and presenter Richard Bayliss told Guardian Australia prior to the start of the 2018 World Cup that "the technology is now is light years ahead of where it was a year or two ago". In a statement issued yesterday, an Optus spokesman said the crashes on Friday night were the result of "an extremely high number of viewers logging into our platforms just before kick-off causing some systems to overload". "Some Optus Sport customers experienced a disruption to their 2018 FIFA World Cup viewing experience on Friday night," the statement read. "While most customers on most platforms were unaffected, we apologise unreservedly to those customers who were, and are continuing to investigate the cause of these systems issues." If Optus fails to deliver again World Cup fans in Australia won't have anywhere else to turn to watch most of the games because the telco has exclusive Australian broadcasting rights to all 39 of the games and shares the rights to the remaining 25 with SBS. Optus is providing the matches as a package for $15 per month, or as part of mobile subscription packages. Included in the 25 of 64 games SBS has retained the rights to broadcast are Socceroos' matches, two quarterfinals, and every match from the semi-finals onwards. "In 2016, SBS negotiated a deal with Optus that has allowed us to bring more of the best international football to Australians free-to-air than there has been in over a decade by securing free-to-air rights for the Premier League through sharing the rights to the FIFA 2018 World Cup," an SBS spokesman today told news.com.au. The SBS spokesman said that information relating to the amount paid by Optus to secure the exclusive rights to broadcast all of the games was "commercial in confidence". Optus did not respond to questions relating to the cost of the deal. The next match of the 2018 FIFA World Cup, France v Australia, kicks off at 8pm tonight AEST, and will be available to view on SBS and Optus Sport.